William Capers, 1790-1855. Catechism for the Use of Methodist Missions. First Part. 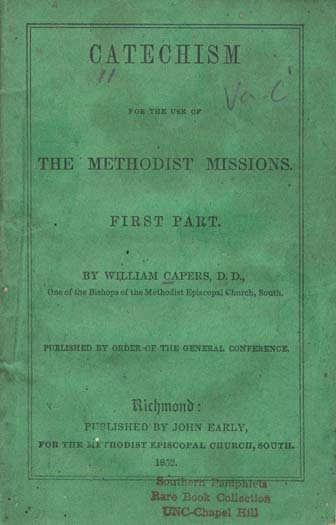 Catechism for the Use of Methodist Missions. First Part. Charleston, [S.C.? ]: Published by John Early, 1853.